Utilize these resources to help you improve your buyers' loyalty to your organization. Find out the three strategies you can adopt now to ensure you have a second chance with buyers, get that coveted recommendation from high-level decision makers, and use your brand name to influence buyers in their purchases. 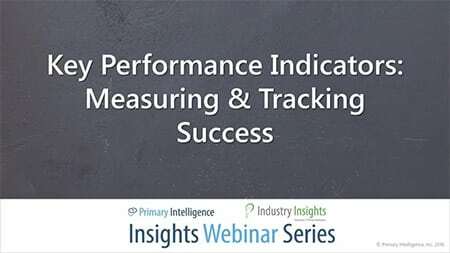 Primary Intelligence analyzed Key Performance Indicator data from over 10,000 telephone- and web-based interviews since 2008 to understand how leading indicators—product quality, recommendation likelihood, and future business—impact buyers' overall experience and satisfaction. Respondents included key decision makers in a wide range of departments and functional areas. 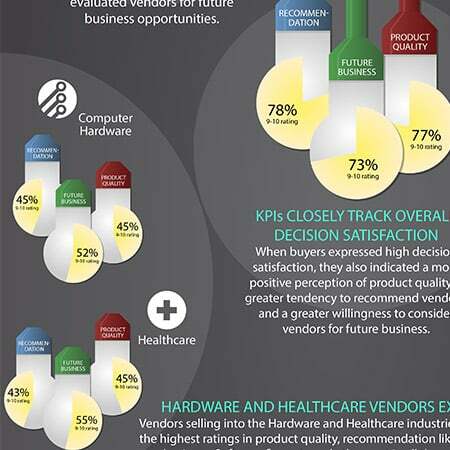 Primary Intelligence shares findings from the latest industry research on Key Performance Indicators including buyer willingness to recommend losing vendors to colleagues, buyer likelihood to do business with vendors in the future, industries with the strongest KPI ratings, and strategies to leverage KPIs for future wins. 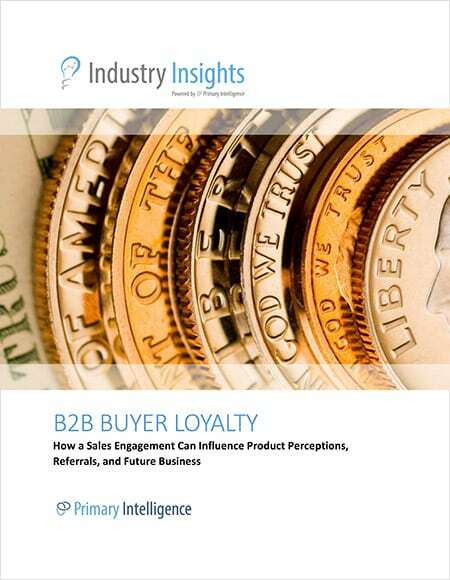 How Sales Engagements Can Influence Product Perceptions, Referrals, and Future Business. 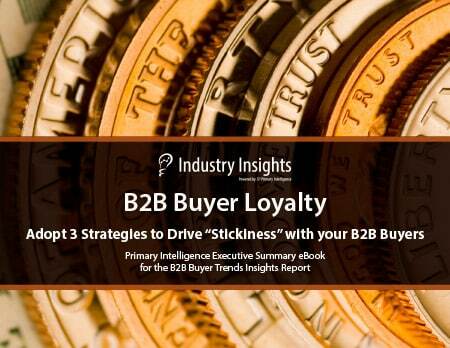 The B2B Buyer Loyalty industry report digs into these topics and more based on over 10,000 interviews with leading B2B decision makers from five key industries. The study delivers a unique look at how those decision makers framed their decisions about loyalty with the vendors they considered, including both winning and losing vendors.